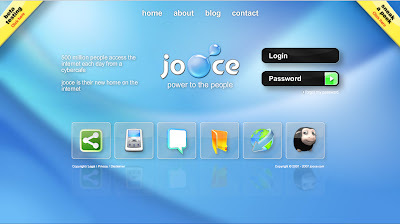 Jooce.com is the new online Operating System for millions of people who use the public computers every day. With Jooce, you can carry your data with you anywhere you go in the world. You can just store your data to your account and when you log on to Jooce, you can retain them in any part of the world. It is still in the beta stage and you will be informed when it is completely developed if u have given your mail id to them. how do you make an account at the website?